Roughly six months ago my wife Maria and I received a fateful knock upon the door. Sadly, it wasn’t a stately raven but merely our landlord, though she did come bearing portentious news. Because she and her husband couldn’t figure out any other way to separate their baby from their dog, they were not going to renew our lease so that they could have our apartment in addition to theirs, thereby solving this critical issue. Now if it were me I would have bought one of those wooden separators you put up between rooms but that’s just because I don’t have the extra cash to take on the expense of another entire apartment to solve a trivial problem. At any rate, with that knock our fates were sealed. After much discussion we decided that what we really should do was to buy a place. There are a lot of reasons why this is a good idea but as it turns out buying a place in New York is, well, hard. After much searching we found a co-op in our price range that Tom Hanks’ character in the Money Pit might have run screaming from. We put in an offer immediately and it was accepted but the buiding’s paperwork was not in order. In fact it was out of order. Because of this, getting the clear to close has taken a very long time. Our landlords extended the lease one month for us but then they really had to separate that baby and dog and so they gave us the boot in November and thus commenced our Time of Wandering. We never knew how long to rent a place for because our broker kept saying we’d be approved at any time. So with all of our stuff in storage we spent the last two months living in a series of Airbnbs throughout New York, a little bit in New Jersey and of course partly in Chicago. But life doesn’t stop just because your apartment has been converted into a single occupancy dog hotel. The truly strange thing about the last two months is not that I’ve spent my days working at a series of different desks looking at pictures of different people I don’t know. The strange thing is that I’ve spent the majority of my time composing music for the first time since grad school. I mean, I’ve always composed, just not usually as my primary activity. But starting with that knock on the door it seems like the universe is giving me a swift kick in the pants. In rapid succession my radio show was canceled, we lost our apartment to a terrier, I got hired to score a feature-length film, I was asked to compose music for no less than six upcoming concerts, people have been reaching out wanting to play other pieces of mine, and my dream project of adapting the film Le Jetée into an opera is moving forward. It’s truly been dizzying and disconcerting but I’m rolling with it. This week I’m in an apartment in the Bronx near Yankee Stadium which I know primarily as the place that George Costanza used to work. I’m putting the finishing touches on the last reel of the film score and am about to walk over to the new place in Washington Heights to meet one of our contractors. I think this new reality might just suit me. I do wonder how the dog is doing though. This was the first piece I wrote during the Time of Wandering. I started it in Rome and finished it in Chicago with a writing stint in between in Hopatcong, New Jersey. 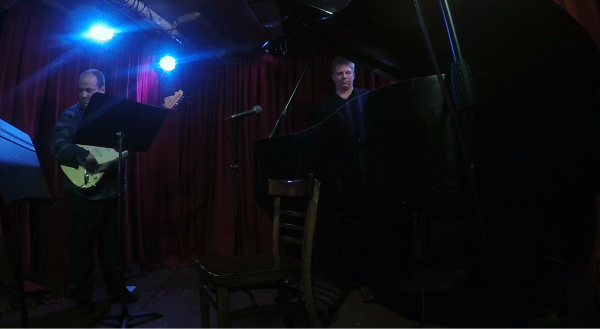 The piece is for myself and guitarist and composer Gene Pritsker and this recording is us performing it live at the now sadly departed Cornelia Street Café as part of my Concept Lab series. The piece uses a lot of mismatched major and minor triads to give an unsettling feeling in the pit of your stomach, the way I’ve felt these last couple of months as I wandered about the city after a dog took over my apartment. 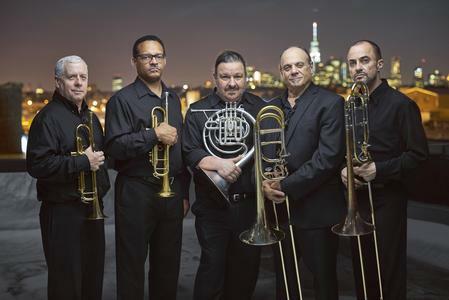 The amazing Manhattan Brass Quintet will give the premiere of my new piece Striations on a concert called Brass Motion at the Dimenna Center for Classical Music in, you guessed it, Manhattan. This piece is hot off the presses. I wrote it partly at an Airbnb in Crown Heights and finished it on New Years eve in an empty apartment in Bed-Stuy. That’s a long story in and of itself. The piece uses several different motives that slowly begin striating or overlapping each other. The effect is pretty cool. The concert is a collaboration between Composers Concordance and Project 142 and will feature several other works written especially for it. Don’t miss it! 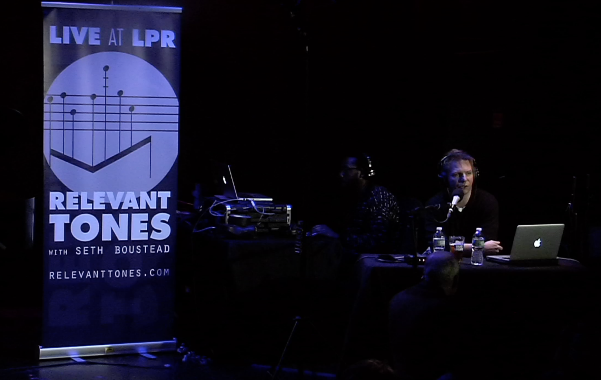 I was so excited to start this live series at Le Poisson Rouge last year, I thought it would last forever. Or at least for a few years. 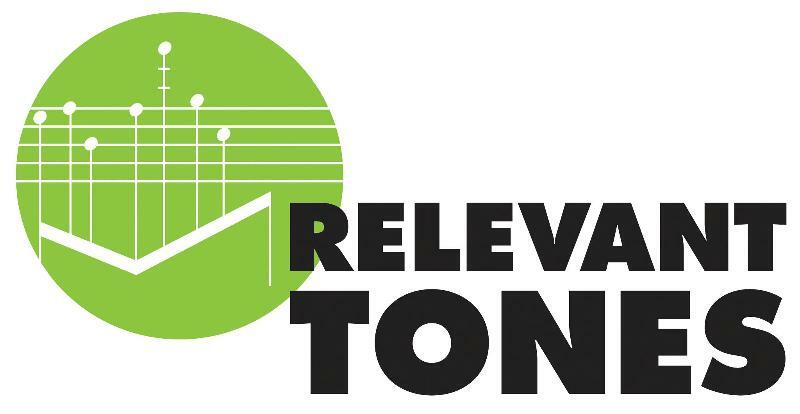 But, as it turns out we only made it three shows and this will be not only the last live broadcast for Relevant Tones but the last episode ever on WFMT. The show features pianist extraordinaire Jenny Lin performing new pieces written for her by composers from the Iceberg Composers Collective as part of her Etudes Project in which she pairs newly composed etudes with famous virtuosic etudes from the past. We’ll open the show with the Discovery Series featuring a piece I commissioned through ACM from Will Rowe, also an etude of sorts. The piece is called Commercial Etudes and the music is derived from ad jingles from the 1950’s. This is not in January but it’s early enough in February that I decided to include it here. 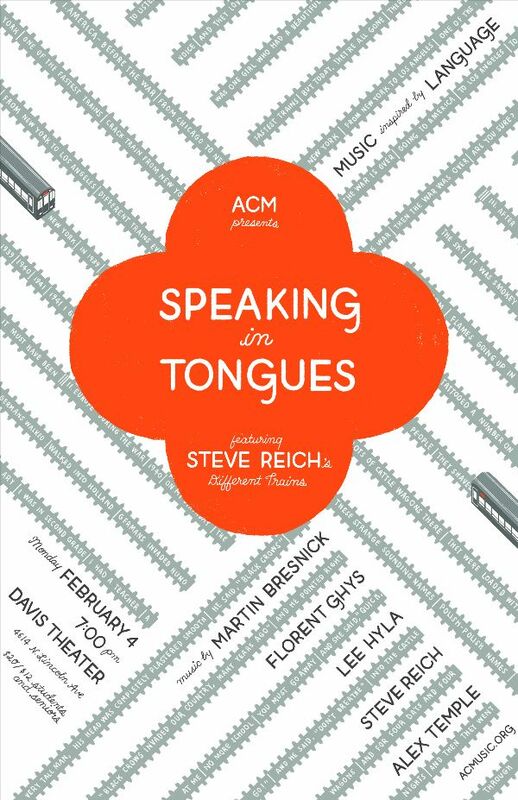 This is the first ACM concert of 2019 and it features music inspired by and incorporating language.I spent a lot of time programming this one and I’m really proud of it. Ishi’s Song by Martin Bresnick calls for the pianist to sing as well as play. The text is from a recording by Ishi, the last of the Yahi indians of northern California. The language is now lost and what Ishi is singing has never been translated. Then there’s We Speak Etruscan by Lee Hyla. I was just in Rome and one of my favorite parts of the trip was a visit to the Etruscan museum. Of all the ancient peoples they might be my favorite. They were more or less peaceful arts-loving folk who gave women an equal place in society. Naturally the Romans obliterated them. Lee’s piece is a wonderful homage to this bygone culture. The pieces by Alex Temple and Florent Ghys both feature recordings of their friends talking, often telling intimate details of their lives. The music has been interwoven throughout the speech in ingenious ways. We’ll close it out with Steve Reich’s monumental Different Trains originally commissioned by the Kronos Quartet. Here’s what we did in December. Relevant Tones airs for the last time January 25th. The title of the newsletter is a reference to Walker Percy’s book Lost in the Cosmos. The full title is Lost in the Cosmos, the Last Self-Help Book. I read it many years ago and found it entertaining though I can’t say it helped me much. Percy is best known for Love in the Ruins and the Thanatos Syndrome which are both great but he wrote a ton of other books too. One of his most lasting contributions to literature however is “discovering” John Kennedy Toole’s A Confederacy of Dunces. Two years after Toole committed suicide his mother visited Walker Percy and gave him the manuscript of Confederacy. Percy says in his intro to the first edition that he was always being sent garbage manuscripts and his first impulse was to say nice things and get rid of her but something made him read it. You don’t have to get too far into the book to know that it’s absolutely priceless. Percy used his considerable power in the publishing industry to get this unknown author’s book published and it has since become a classic. The book has sold more than two million copies and Toole was posthumously awarded the Pulitzer Prize for Literature in 1981 twelve years after his death at the age of 31.